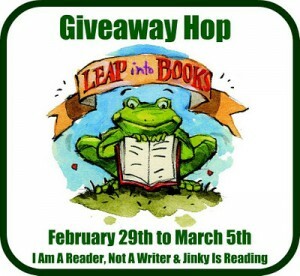 Welcome to my Leap into Books Giveaway. $20 Young Adult or Middle Grade Book from Book Depository. Leave a blog comment about a book you read and loved as a child. Please include an email where I can reach you. You do not need to be a follower to enter. Everyone has an equal chance to win. You must be 13 or over to enter. The winner will be chosen using random.org. I will notify the winner on March 6th. You will have 48 hours to respond before I pick another winner. This giveaway will run from February 29th through March 5th. Check here for more great giveaways. BLURB: Many readers know the tale of Robin Hood, but they will be swept away by this new version full of action, secrets, and romance. One of the things I find interesting about the book world is the fact that there are books for every sort of taste and temperament. There are books that others connect to that I don't like and books I like that other readers do not. This book falls into that category. For example, one of my favorite bloggers, Charlotte at Charlotte's Library didn't particularly like this book, but I find myself unable to stop thinking about it, something that only occurs with books I connect with in a strong way. I'm not sure why I connected with Scarlet and Robin so much. Maybe because I've always loved stories about Robin Hood. Maybe because Scarlet and Robin seem so real, flaws and all. Maybe because I love stories about courageous people trying to help others. Whatever the reason, I did find this book compelling. I stayed up way too late to finish the book, something I try not to do these days. In any case, I found Scarlet a character I could really root for. She's far from perfect but she's got a good heart which she does her best to hide. After suffering a devastating loss just before meeting Robin, she tries not to get too attached to the band, unwilling to admit for the longest time that she would die for them, especially Robin. She and Robin are kindred spirits who suffer from great feelings of inadequacy, unwilling to forgive themselves for past sins, but who have dedicated themselves to helping others hoping to atone for their mistakes. John provides some of the lighter moments in the book (of which there are only a few) with his boisterous ways and Much is the gentle caregiver who wants to become a fighter like the others. As in the original stories, Gisbourne is a strong villain, the kind who deserves to die. Plotwise the book moves along quickly yet provides thoughtful moments also. I am impressed with the way Gaughen kept the story moving while still providing for character development. There are several twists near the end that are gut-wrenching in their intensity. I am hoping there will be a sequel because the ending leaves several plot threads untied. 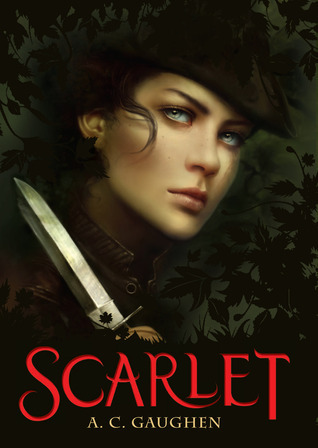 Scarlet is left in an uncomfortable situation that I want to see her out of before I will be completely satisfied with the story. NOTE: Some of the content makes this book more appropriate for older students. There is a moderate amount of swearing and profanity that I wish hadn't been included the story would have been just as strong without it. This language made the book seem not quite medieval. Also there is sexual innuendo, no graphic encounters, but the implications are definitely there. There is also a good amount of violence, which while realistic, gets graphic at times. Illustrations come from Amazon.com and are copyrighted material. BLURB: All the water in the world is all the water in the world. 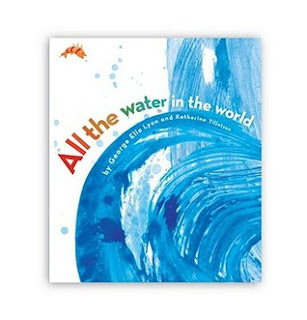 We are all connected by water, and this message is beautifully, lyrically delivered from poet-musician-author George Ella Lyon. Where does water come from? Where does water go? Find out in this exploration of oceans and waterways that highlights an important reality: Our water supply is limited, and it is up to us to protect it. 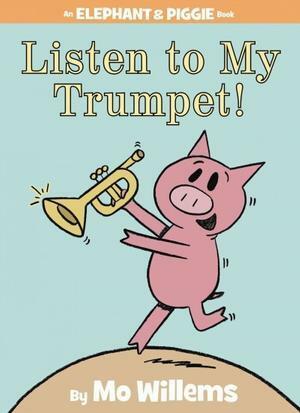 Dynamic, fluid art paired with pitch-perfect verse makes for a wise and remarkable read-aloud that will resonate with any audience. This is a wonderful book, full of poetic language and gorgeous illustrations. In fact, the book flows rather like its subject, water. I love the way the water cycle is introduced, "Water doesn't come. It goes. Around." The wording is deceptively simple, but the design of the book makes the words come alive as the words seem to move like the illustrations. 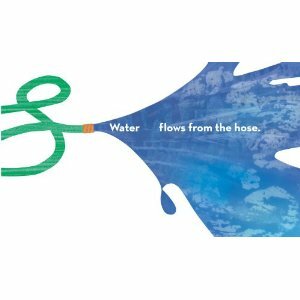 The illustrations match the flowing nature of water. The use of color highlights the importance of water and the fact that water is not evenly distributed through our world. Some places get too much water and others not enough. 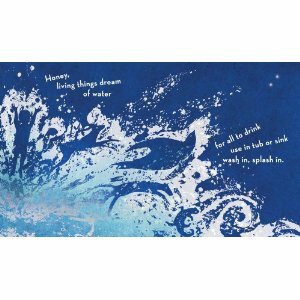 I highly recommend this book, not just as a book about water, but as a work of art. Here are a few of the illustrations, they show more clearly than I can the beauty of this book. I plan to use this with my first graders this week to help introduce the water cycle. I'll update this entry after I've seen how the students react to this book. I read the book to my first graders. They seemed to like it for the most part, the illustrations went over great. They did what they usually do when I read a nonfiction book, they all tried to share everything they knew on the topic. This is a little frustrating as it makes it difficult to finish the book in a timely way, but on the other hand it means the kids are connecting with the book. Head on over to The Children's War for today's Nonfiction Monday. BLURB: Two thousand years ago, the dwarf Albrek went looking for new mines in the land of Thraxon in the hopes of becoming rich-and vanished. Now the dwarves must find Albrek's magical Ring of Searching before their mines run dry, a possibility which threatens the livelihood of the entire dwarf realm. This is one of my favorite series. For me this is a series that I could read over and over again and still not have enough. I love the way Forman sets things up plotwise. His characters feel real, almost like real friends. I like how the characters learn and grow and develop throughout the story. It would be nice if there was more information about some of the secondary characters, but overall Forman does a nice job with his characters. The plots follow a quest format, but the things that Alex and his friends encounter are presented in such a novel way that the book feels fresh and new. The fact that Alex keeps facing more and more difficult challenges mirrors an adolescent's growth to adulthood. My favorite parts of the book were when Alex, a wizard, changed himself into a creature that could fly. I read these parts wishing I too could turn myself into an eagle (or other flying creature) and experience the freedom and beauty of flight. Some of my other favorite parts revolve around a plot twist that I didn't see coming and which I won't mention specifically here, I don't want to spoil the book for you, just know that it is an awesome plot twist. I was sad to see this book end. I wanted it to go on forever. It was like saying goodbye to dear friends. Unfortunately, I'll have to wait another year or more to read more about Alex and his friends. Luckily I have other great books to read in the meantime. 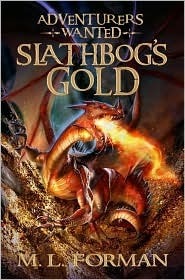 I highly recommend this book to fans of high fantasy, especially quest related stories. 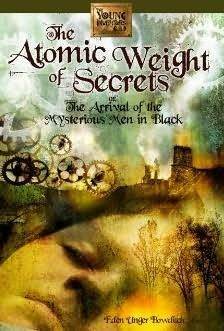 Reviewed from ebook provided by publisher through NetGalley. Not a significant source of vampires. Daily values based on individual interest. Reader's estimation of value may be higher or lower, depending on your tolerance for this sort of thing. It's taken me a while to get this review written up, primarily because I'm not completely sure what to make of this book. If I had to describe it in one word it would be: odd. This book is very odd. To be sure it has adventure and humor and continuously pokes fun at the role that advertising and big corporations play in the lives of children. I am not particularly a big fan of odd books, but at the same time, Rex pulled me into the story enough that I wanted to finish it. And I will definitely be reading the sequels (this is the first book in a trilogy). Despite the oddness of the book, I found myself getting attached to some of the characters, Scott (with the unusual name who is convinced that his migraines make him hallucinate and see strange things like a rabbit-man or a leprechaun who claims to be a clurichaun), Emily (a genius with a serious lack of social skills), and Erno (who never seems to live up to his sisters' genius, but has great social skills). Other characters made me chuckle and roll my eyes, like Mike the Leprechaun or Harvey Pooka the rabbit-man. Plotwise this story isn't particularly believable, but I don't think it's supposed to be. The fun thing about not worrying about believability is that the author is free to take the story wherever he wants and Rex does so. The strange twists and turns are almost impossible to predict which makes the story quite compelling. I think I'm going to share this with my students just to see what they think. I'd recommend this book to readers who enjoy a fun romp but are not particularly concerned about the story making sense. BLURB: Thirteen witty and wacky poems pose riddles that challenge readers to Name That Book. 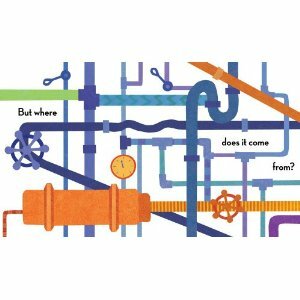 With a glass slipper here and a spider web there, Munsinger's adorable illustrations lead young readers to the solutions. 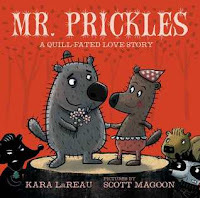 BLURB: Mr. Prickles was not a particularly friendly fellow. He was tough to get close to . . . because he was a porcupine. "You're not cute like us," said Raccoon. "Or cuddly like us," said Chipmunk. "Or playful like us," said Skunk. "I am," said Mr. Prickles. "On the inside." I read this book to a group of kindergarteners. I enjoyed it and I think they enjoyed it as well. But it's not one of my favorites. It didn't have as much humor as I expected. In addition, the puns pretty much go over the head of young children. Even older elementary students don't always understand puns. The kindergarten teachers enjoyed the puns though. I did think that the book is a good lead in to discussions of unkindness and anger issues. 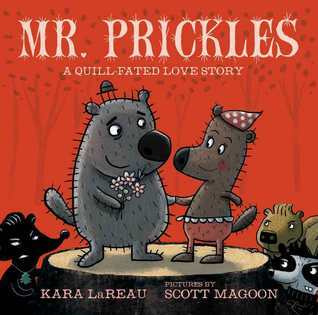 Mr. Prickles gets really angry when the other animals exclude him because he is different. It isn't until he meets Miss Pointypants that he begins to realize that letting others determine how he feels leads to unhappiness. I did find the illustrations expressive and appealing and the story does point out how nice a friendship with the right person can be. And every time I read Miss Pointypants name I felt like giggling. Overall, a nice read-a-loud. 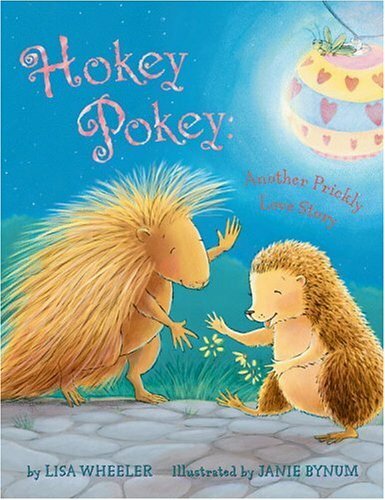 BLURB: Cushion the porcupine and Barb the hedgehog, the adorable pair from "Porcupining: A Prickly Love Story," are back for another adventure. Barb loves to dance, but Cushion has two left feet, and usually ends up prickling someone with his quills. How will he ever learn to dance? I really enjoy reading anything by Lisa Wheeler. She just manages to capture childlike humor so perfectly. Her books also have a good deal of expression and rhythm which makes them fun to read out loud. I especially like this book, maybe because like Cushion, I'm a bit of a klutz. Cushion tries to find someone to teach him to dance so he can dance with his good friend, Barb, but no matter how hard he tries he keeps injuring his dance instructors. In the end though Cushion finds the perfect teacher and learns to dance. I read this book with a group of kindergartners who enjoyed the book. When we got to the part with the Hokey Pokey, the students eagerly joined in on the few lines from the song. If I had had more time, I would have put on the music and actually danced (I don't think the kindergarten teachers would have appreciated my getting the students all hyped up however). 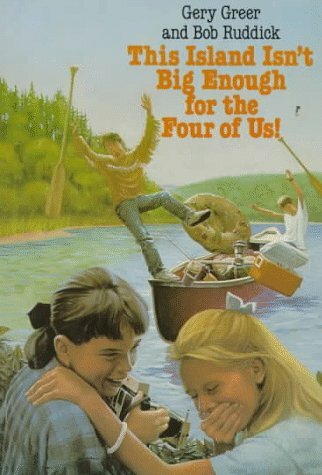 A fun book for sharing, one of my all time favorites. 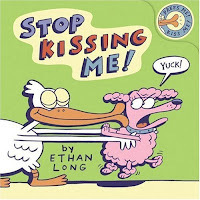 BLURB: In this hilarious sound chip book, a pet poodle is disgusted when the duck gives her a friendly kiss. Despite her pleas for him to stop, the duck keeps the kisses coming, until the poodle decides to give the duck a taste of his own medicine. With a kissing sound chip that makes the sound of a big smackaroo, this animal pair will provide endless giggles for kids and adults alike. The kindergartners that I read this book to loved it. The juicy kisses both illustrated and auditory made the kids giggle. While there isn't much character development or plot here, it makes for a fun read and could lead to discussions on appropriate displays of affection and the importance of respecting other people's boundaries. But mostly the book is just silly and fun. Growing Level: 21 of 120 completed. BLURB: A brilliant portrait of two American heroes from the award-winning creators of The Extraordinary Mark Twain (According to Susy)!John Adams and Thomas Jefferson were very different.John Adams was short and stout. Thomas Jefferson was tall and lean.John was argumentative and blunt.Tom was soft-spoken and polite. John sometimes got along with almost no one.Tom got along with just about everyone. But these two very different gentlemen did have two things in common: They both cared deeply about the American colonies, and neither cared much for the British tyrant, King George. With their signature wit, impeccable research, and inventive presentation style, award winners Barbara Kerley and Edwin Fotheringham masterfully blend biography and history to create a brilliant portrait of two American heroes who bravely set aside their differences to join forces in the fight for our country's freedom. I found this book delightful in both pictures and words. I enjoyed how Kerley presents both main characters side by side and then merges them together after they met. This technique allows the reader to see just how different John Adams and Thomas Jefferson were as well as the commonalities that brought them together. Fotheringham does a fantastic job with the illustrations. The cartoonish nature of the illustrations adds humor and emotional expression. I especially liked the maps that showed the connections and distance between Great Britain and the colonies. I appreciated the appropriately placed quotes from both Adams and Jefferson. Overall, I'd say this is a great book for introducing the people and events that lead to the creation of the United States of America. 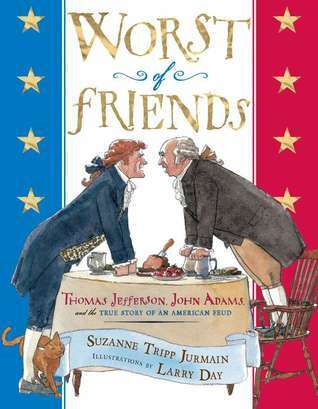 BLURB: John Adams and Thomas Jefferson were good friends with very different personalities. But their differing views on how to run the newly created United States turned them into the worst of friends. They each became leaders of opposing political parties, and their rivalry followed them to the White House. Full of both history and humor, this is the story of two of America's most well-known presidents and how they learned to put their political differences aside for the sake of friendship. I always find it interesting to read several books on the same topic. Even when the same ground is covered, I find that the writers/illustrators include different details. This book covers some of the same material as the book reviewed above. But it does it in such a way that I did not feel like I was reading the same material, plus the details included by each author and illustrator were different. This book provides a brief overview of the relationship between Thomas Jefferson and John Adams. The two men were different in many ways, physical size, temperament, etc. But they shared a passionate belief in America's right to form her own government. But they differed greatly on presidential power and centralized government. This lead to the feud mentioned in the title. In this book, I think the details that I found the most interesting were the different ways Adams and Jefferson described each other both during their years of conflict and afterwords. During their conflict, Jefferson called Adams, "vain, suspicious, irritable, stubborn, and wrong." Adams called Jefferson ,"weak, confused, uninformed, and ignorant." After their years of conflict, Adams said, "I always loved Jefferson" and Jefferson said Adams was, "honest" and "great." This book does a great job of indicating that people change over time and things that seem so very important at one point can become less important over time. I also enjoyed the humorous elements that the illustrator chose to include. For example, the picture of John Adams jumping on his wig is very amusing as our the pictures of Jefferson and Adams with their own respective grandkids (Jefferson's grandkids are throwing snowballs, Adam's grandkids are throwing pudding all over his living room). 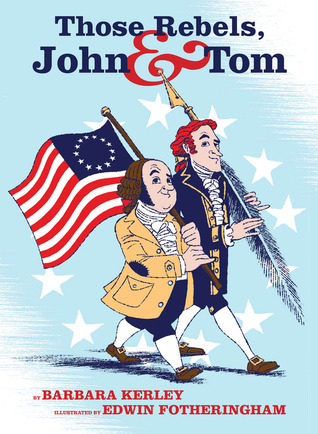 This book provides a great way to introduce two of America's founding fathers, along with the fact that while they did great things, they were far from perfect. 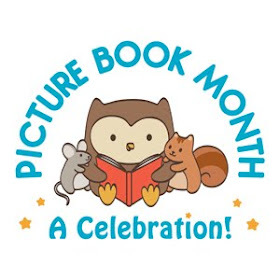 Check out this week's Nonfiction Monday at Lori Calabrese Writes for more great children's nonfiction. 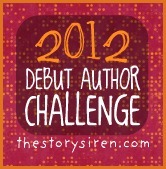 BLURB: Welcome to the tyrannical city of Jewel, where impatience is a sin and boldness is a crime. Goldie Roth has lived in Jewel all her life. Like every child in the city, she wears a silver guardchain and is forced to obey the dreaded Blessed Guardians. She has never done anything by herself and won’t be allowed out on the streets unchained until Separation Day. When Separation Day is canceled, Goldie, who has always been both impatient and bold, runs away, risking not only her own life but also the lives of those she has left behind. In the chaos that follows, she is lured to the mysterious Museum of Dunt, where she meets the boy Toadspit and discovers terrible secrets. Only the cunning mind of a thief can understand the museum’s strange, shifting rooms. Fortunately, Goldie has a talent for thieving. Which is just as well, because the leader of the Blessed Guardians has his own plans for the museum—plans that threaten the lives of everyone Goldie loves. And it will take a daring thief to stop him. . . . 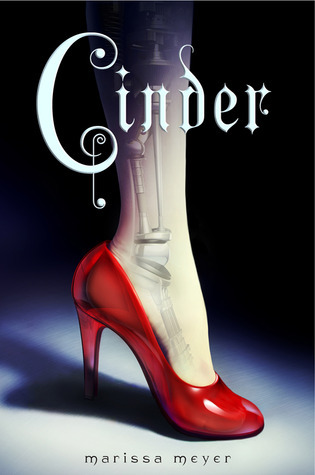 While I am not normally a big fan of dystopia stories, I found the premise of this book intriguing. 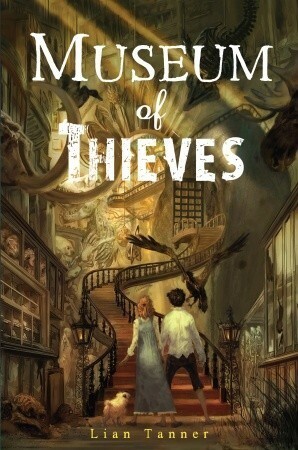 I mean a museum with shifting rooms, a boy named Toadspit, and a runaway girl?! What is there not to love. And I did find myself really enjoying this story. The museum wasn't exactly what I was expecting but it provided lots of things to think about. I think the theme that spoke to me the most was the power of freedom of choice. Goldie ran away because she wanted to be able to choose how to live her life. Ironically, she is forced into thievery by choosing to run away. Of course she is manipulated into it, but she really didn't have many options. Goldie learns that while she has the freedom to choose once she has escaped Separation, she doesn't have the power to choose the consequences of those choices. This book would make a great book for class discussions about right and wrong, choice and consequences, and the power of the past to determine our future. I appreciated the fact that Goldie and Toadspit have adult mentors. Many fantasies these days have young people facing challenges and horrible circumstances on their own. Unfortunately this may be true in the real world to some extent, but as a teacher I always hope that somewhere along the way, every child will find an adult to help and mentor them into adulthood. 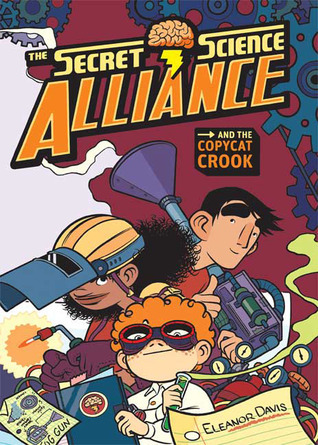 NOTE ON CONTENT: There is a moderate amount of violence in this book as Goldie and Toadspit and their mentors try to stop the Guardians from unleashing great evil, but there is no swearing or profanity or anything else inappropriate. Reviewed from e-book copy provided by BookSneeze for free. All opinions expressed are solely my own. Book provided for honest review. 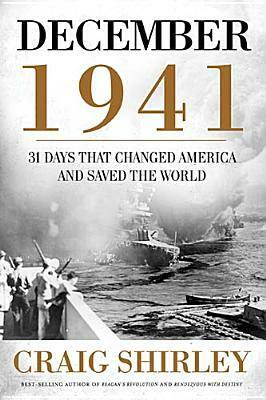 BLURB: December 1941: 31 Days that Changed America and Saved the World traces, day-by-day, the most important 31 days in the history of America's participation in WWII, which snuffed out the lives of millions and changed history forever. From December 1, 1941, until the morning of December 7, 1941, America was at peace and-with the exception of the stubborn and persistent high unemployment of the Great Depression-was a relatively happy country. By the afternoon of the December 7 attack on Pearl Harbor, America was a radically changed country, forever. Its isolationist impulses evaporated, and both major political parties became more or less internationalist. The month also introduced food and gas rationing, Victory Gardens, scrap drives, a military draft, and the conversion of Detroit into an "arsenal of democracy." From the moment of America's entry into World War II, people of all kinds, but mostly women looking for work, flooded into the city. Instant apartment buildings sprang up, as did eating and drinking, salons, all to the advantage of the massive increase in spending generated by the federal government. I quite enjoyed reading this book. I appreciated the incredible amount of detail that the author included. I can only imagine the weeks, months, and even years he must have spent working on this. I would have to read the book a dozen times to even begin to appreciate everything that happened during that brief month. It was fascinating to read about what it was like experiencing the profound events of December 1941. Ironically, it reminded me somewhat of the things that happened after 9/11. The panic, the anger, the confusion, backlash, fear, etc. I guess while time and technology continue to change, people and their behaviors don't. I learned a lot about FDR and Churchill while reading this book. My admiration for their leadership in the face of tragic circumstances has increased. While I don't agree with everything they did, I do admire the courage and determination they demonstrated. One thing I found especially interesting about this book was the emphasis on information gathering from the media of the time, newspapers, magazines, presidential documents,etc. This gave a much more immediate feel to the book. It also demonstrated how difficult it is for the media to be accurate in the information they provide. With a limited amount of space and time, it becomes very easy to print inaccurate, even false, information. I also found it fascinating that each chapter began with some of the headlines from newspapers. Each writer took a different approach to the events rapidly unfolding and the information they provided to the public. It reminded me that no matter how hard they try, writers, editors, and news anchors simply cannot be completely objective. We all see things through our own unique set of ideas and experiences. The focus on the information provided by the media means that the information in the book may not be completely accurate. I haven't read enough about that time to be able to recognize factual and editorial errors which others have pointed out in other reviews, especially the political aspects, but I did notice that the author tried to make it clear when a source was expressing something that had not been verified. I also appreciated the inclusion of cultural events occurring during this time, it helped provide immediacy as I read. It brought the time and people more to life for me. Overall, I thought it was a thoroughly researched and readable account of a fascinating period in United States history. I have to say, I received a lot more entries than I ever expected. I appreciate all of you who stopped by. I wish there could be more than one winner, but one is all I can afford for the time being. BLURB: With the ocean her home, an ochre sea star hunts for her morning meal. She folds over her rays and grips the rocky shore with sticky feet as she feasts on shellfish. When she takes too long, the tide flows back without her and Sea Star becomes easy prey. But she is built to survive and eventually makes her way back to the sea, although with one less ray than before. 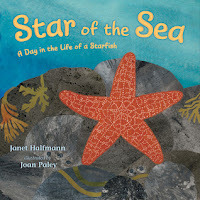 This inspiring story informs young children about the important role of a small but fascinating sea creature. Not only is this book gorgeously illustrated but very informative as well. 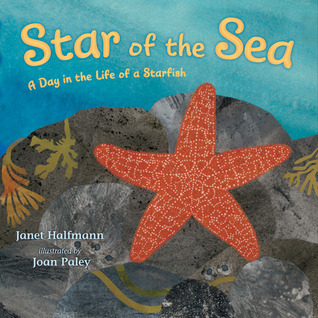 The book follows a single day of a sea star struggles to survive as both predator and prey. The reader watches as the sea star makes her way out of the water toward a group of mussels. The details about how the sea star moves and senses the world were fascinating. I appreciated learning about how sea stars eat by inserting her stomach into the mussel, not many creatures eat like that. Details like this make this book perfect for sharing one-on-one or in a classroom situation. I liked the fact that though the author includes lots of details, these details do not bog down the story in any way. The illustrations are gorgeous cut paper-collage. The illustrator does a wonderful job of matching the illustrations to the text. It bothers me when illustrations don't match the text, thankfully that is not a problem here. The bright contrasting colors make the book very appealing. Overall I'd say this is a great book for sharing and I recommend it highly. I think I'll stop here, I could of course go on and on, but these are a few of my favorites. I'd love it if you would share some of your favorites as well! Happy Valentine's Day!! Also of great note the 2011 Cybil's winners have been announced and I am very excited to see some of my favorites listed. BLURB: Having fled from war in their troubled homeland, a boy and his family are living in poverty in a strange country. Food is scarce, so when the boy’s father brings home a map instead of bread for supper, at first the boy is furious. But when the map is hung on the wall, it floods their cheerless room with color. As the boy studies its every detail, he is transported to exotic places without ever leaving the room, and he eventually comes to realize that the map feeds him in a way that bread never could. The award-winning artist’s most personal work to date is based on his childhood memories of World War II and features stunning illustrations that celebrate the power of imagination. An author’s note includes a brief description of his family’s experience, two of his early drawings, and the only surviving photograph of himself from that time. Being fascinated with geography I found this book very enjoyable. The author includes enough detail to give the reader a glimpse into his childhood experiences with war and hunger without being graphic or inappropriate in any way. I found the illustrations very expressive. The red and black for war, the sand for homes, and the bright colored clothing for the people. 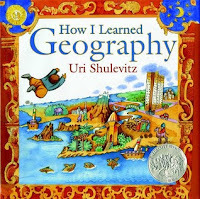 The way Shulevitz used neutral colors to represent the he his family was living before they got the map makes a nice contrast to the brightly colored imaginary journeys he took based on the map. I also liked the note at the end which explained how the story came from his memories and are likely not completely accurate. I also liked the inclusion of a map he drew at age ten and the market scene he drew at age thirteen. This book makes a great introduction to geography and the power it plays in our lives. I highly recommend this book for older elementary students. Note: I used this book with first graders, but I don't think they understood a lot of it and they didn't fully appreciate the challenging circumstances depicted in the book. Next time I'll use this with older students. Head on over to Wrapped in Foil for this week's Nonfiction Monday recommendations and reviews. To be released on February 28, 2012. BLURB: With a POP! and a puff of smoke, the Willows' lawn mower calls it quits. A new mower will cost their parents a lot of money, money Derek had hoped to borrow for a train ticket to visit a friend. Luckily Derek and his brother and sisters find a rusty push mower tucked away in the shed. It doesn't look like much, but it turns out that it's been soaking up magic for years. And it's hungry for grass! Can Derek earn his ticket? Maybe . 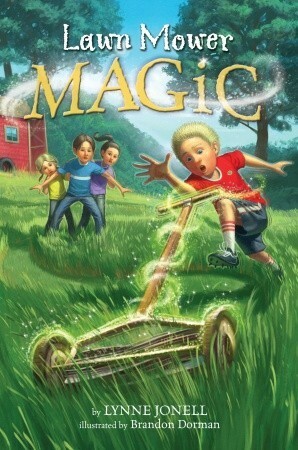 . . if he, Abner, Tate, and Celia can keep the magic mower under control! Not having read Hamster Magic, I didn't understand the references to Derek's family's previous experience with messed up magic. However, I still managed to follow most of the story. The story does focus on one day's events with the children running into a magically empowered lawn mower. I found the idea amusing and the book did not disappoint in that area. The scenes with the lawn mower running amok were funny and entertaining. There is little character development as the book focuses on the events of a single day. The magic is also not really explained. Derek and his siblings are, however, appealing and their interactions realistic. The plot moves along at a brisk pace that is perfect for children making the switch to chapter books. The illustrations are delightful (I love Brandon Dorman's work!) and add a nice note to the book (I do so like illustrations in middle grade chapter books). I recommend this for children who want a light, fun, fast read, who aren't ready for 300 page tomes. BLURB: When Anne broke off her engagement seven years ago, she thought she'd never see Neil Wentworth again. But when Neil's brother buys the house she grew up in, it seems fate has other plans in store, and Anne is woefully unprepared for the roller coaster of emotions that accompanies Neil's return. Fans of Persuasion will love this fast-paced, modern retelling of Jane Austen's most romantic novel. 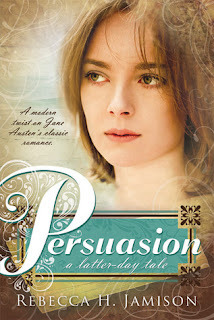 Persuasion by Jane Austen is one of my favorite adult books, so I was naturally intrigued when I heard about this book. I was rather skeptical as I read the first few chapters, after all, Austen's books are considered classics for a reason. But as I got more involved in the story and stopped comparing it to the original, I found myself enjoying it more. By the time I got to the part where Lily (Louisa) ignores a warning sign and gets herself injured, I was fully invested in the story and finding out how the story would play out. I knew how the story would end of course, having read the original story, but I wanted to see how Anne and Neil got to that point. There were several twists and turns that kept the story moving and were quite different from the original, but that was nice in that it allowed the story to progress on its own rather than things happening just because they were in the original story. I didn't feel like there was quite as much character development here as there is in the original, but it still makes for an entertaining read. Jamison inserts enough changes to create a story that stands on its own. The change from Victorian England to modern America creates some interesting changes as well. I did appreciate that the religious aspects of the book were woven quite naturally into the story. I found the flashbacks a bit jarring, but they did give insight into Anne's feelings and actions. I also think that making Neil a police officer and Anne's struggles to accept that dangerous profession added a unique touch and additional source of conflict. Overall, I found the book quite enjoyable and have no problem recommending it to others as a pleasant and diverting romance. I wasn't planning on doing any more challenges, but since I will be reading as many NetGalley ebooks as I can, I figure that since I will be doing this any way, I might as well do it as a challenge. My goal will be the Gold Star Level (30+ NetGalley books). 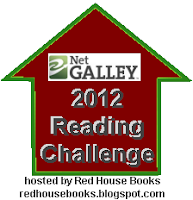 Thanks to Red House Books for sponsoring this challenge. BLURB: Hiding is Roo Fanshaw's special skill. Living in a frighteningly unstable family, she often needs to disappear at a moment's notice. When her parents are murdered, it's her special hiding place under the trailer that saves her life. 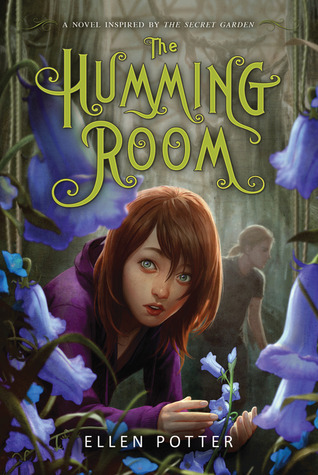 When I found out that The Humming Room was inspired by The Secret Garden, one of my favorite books, I had mixed feelings. First, I was intrigued, then wary. I wasn't sure any book could live up to The Secret Garden, but I decided to give it a try anyway and I'm glad I did. While The Humming Room isn't as good as The Secret Garden, it comes closer than I expected it to. Roo as a character is much more likable than Mary Lennox is at first. Roo has clearly been neglected most of her life, but she's found a way to cope. Her love of and connection to the earth is clear from the beginning. I immediately felt empathy for Roo as she does her best to hide from the tragic changes that come her way. Her confusion and suspicions when she first arrives at her new home are almost tangible. I found myself cheering for her stubbornness in trying to find answers to the many questions that she has about her new home. I also found myself connecting with the other children in the story, Jack (the Dicken character), and Philip (Colin). Jack is a fascinating character, similar to Dicken in some ways, very different in others (the long hair, the mysterious background, and homelessness). Philip engenders both sympathy and annoyance much as Colin does in the original story. The Martha character provides a nice humorous touch to the story. I think my favorite part of this story though is the setting. With a geography background, setting is for me a very important part of the books I read. Potter does a good job creating an interesting setting, I mean an island out in the St. Lawrence River, a garden hidden within an old sanitarium. How could Roo not be curious about such a place. As Roo comes to love her new home, so does the reader. I really wanted to be with Roo as she explored her new home and took trips with Jack on the river. The addition of Philip's mother being from Brazil adds a nice spice to the story as well. The book is well done in most respects. There were a couple of things that could have been done better. The character development of Philip and his father for example could have been stronger. Just as I started to really get to know them as characters, the book ended. I would also have liked to see more about Jack and his background. Reading this, I didn't feel the depth of story that I feel reading The Secret Garden, but overall the story is well done and I feel comfortable recommending it. Today I am highlighting three books that look at what life can be like when one is different in significant ways from those around them or how to deal with the changes that happen to all of us. BLURB: It's a marvel Every time you turn the page the little snake grows bigger. And it's a book that teaches colors: with every page his spots change color. 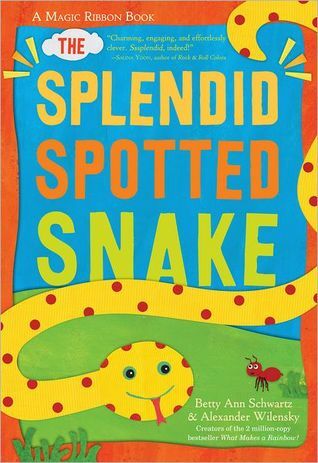 Amazing "But how does it work "Using a unique Magic Ribbon format invented by the authors, "The Splendid Spotted Snake" follows the adventures of a little spotted snake made out of sturdy, polka-dotted cloth ribbon. "When Yellow Snake was born, he had bright red spots. But then he grew . . . His new spots were blue. "Not only does the little snake double in size, his spots also change color Red to blue to purple to orange and more, it's an enchanting lesson in learning colors. And for little kids and parents alike, a true page-turner--because with every turn of the page the little snake grows and changes.And look for it: a wonderful, gratifying surprise ending. 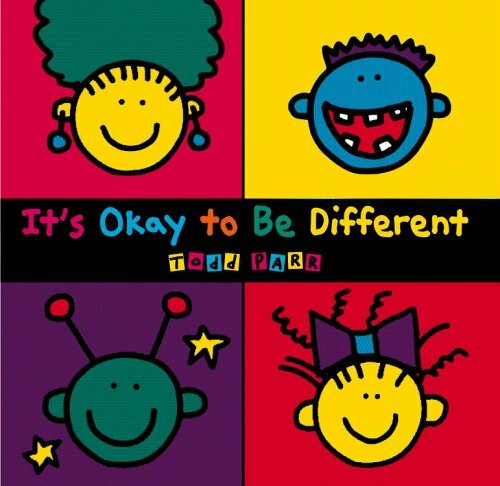 I used this book with my kindergarten students to introduce the idea of being different. I especially like it because it addresses changes that come with growing up. The simple text compliments the bright illustrations beautifully, allowing the deceptively simple art to speak for itself. The students got a really big kick out the growing snake and the different colors. The ending was a nice surprise as well. I definitely plan to use this book again in the future (not least of all because I get a kick out of the growing snake also). BLURB: It's okay to be a different color. It's okay to dance by yourself. It's okay to wear glasses. It's okay to have a pet worm.... It's okay to be different! Not only do I love the bright, colorful, cartoonish illustrations, but I appreciate how easy this book is to relate to. All of us feel different in one way or another, sometimes in good ways, sometimes in not so good ways. Parr does a nice job pointing out that most differences are okay, that these differences don't need to be hidden or run away from. He refers to things that children experience on a regular basis, things such as size differences, feelings, likes and dislikes, appearance, etc. 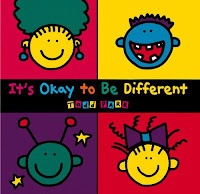 I enjoyed using this book and I hope it helped the children to realize that being different is okay. 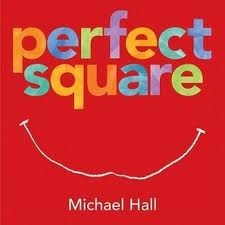 BLURB: A perfect square is transformed in this adventure story that will transport you far beyond the four equal sides of this square book. I love this book. Hall has created a masterpiece with this one. Everything about the book works beautifully. The story and theme about dealing with the challenges that life can throw at you is spot on. The design of the book suits the story to a tee. 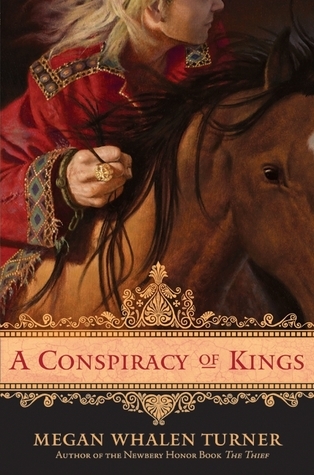 The way the colors compliment each other and the creative illustrations add so much to the appeal of the book. Often one doesn't find a lot of character growth in a picture book, the story is often too short, especially if the characters aren't human. But here the square does grow and realize that change and challenge can bring joy. I highly, highly recommend this book. My students also really enjoyed the book. This could lead to some great art activities as well as a great read-a-loud. Welcome to Geo Librarian's Follower Love Giveaway. I Am A Reader, Not A Writer & Rachael Renee Anderson. 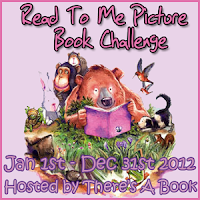 ...up to $20 in Middle Grade/Young Adult book(s) from Book Depository. This giveaway is open internationally, as long as The Book Depository delivers to you. You need to be a follower for this giveaway. Leave a comment with an email address where I can contact you should you win. Tell me about a great middle grade/young adult book you've read recently. One entry per person, I like everyone to have an equal chance to win. This giveaway ends February 15th at 12:01 a.m. I will email you if you win and I will need a response within 48 hours or I will use random.org to choose someone else. 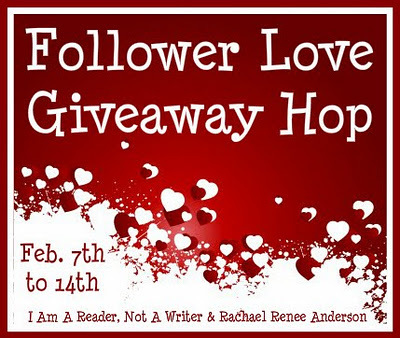 Be sure to visit I Am a Reader, Not A Writer for more great giveaways to enter. THIS GIVEAWAY IS NOW CLOSED! Thanks to all those who participated. Reviewed from book borrowed from public library. BLURB: By the time she was 12, she was considered one of the finest pianists in Europe, but today few people know her name. 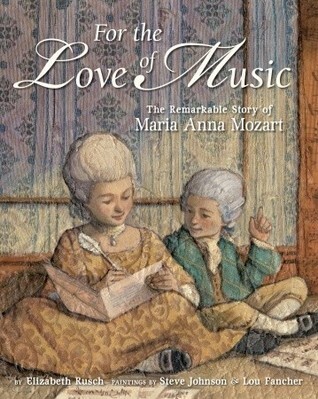 Maria Mozart, like her famous brother Wolfgang, was a musical prodigy. The talented siblings toured Europe, playing before kings and empresses, were showered with gifts and favors, and lived in a whirlwind life of music and travel. They were best friends, collaborators, and confidantes. As they grew older, Wolfgang was encouraged to pursue his musical ambitions, while Maria was told she must stop performing and, ultimately, marry. But she was determined to continue playing the piano every day, for the love of music . . . . I'll say up front that I loved this book, so much so that I bought myself a copy. Not only are the illustrations a gorgeous combination of fabric collage, paper, and oil and acrylic on canvas, but the writing follows the parts of a piano sonata. Even those who do not particularly care for classical music know who Mozart is, but I did not realize that at first, his sister was as famous as he was. Clearly Maria had a gift for playing the piano. Unfortunately for her she lived in an era when women were expected to marry and have children, not have a career. What I especially admired about her was that she continued to play and nourish her gift and passion despite having the opportunity to share her gift with the world taken away. This book provides a glimpse into the mind and heart of a brother and sister who not only shared a love for music, but love for each other. A great story about finding a way to pursue one's dreams whatever the limitations life puts on you. I highly recommend this book. Head on over to Capstone Connect for today's Nonfiction Monday.